HAVE YOU SEEN THESE AMAZING BIRDS? If you’ve ever seen Sandhill Cranes, you know they are large, elegant birds – standing nearly 4 feet tall, they are hard to miss! If you haven’t, what are you waiting for? You can see Sandies, as they are affectionately called, on Galveston Island and in nearby areas now through the end of winter. Cranes are fascinating creatures that have long captured the attention and imagination of mankind in cultures all over the world. They are considered symbols of happiness and eternal youth, good fortune and longevity in life. 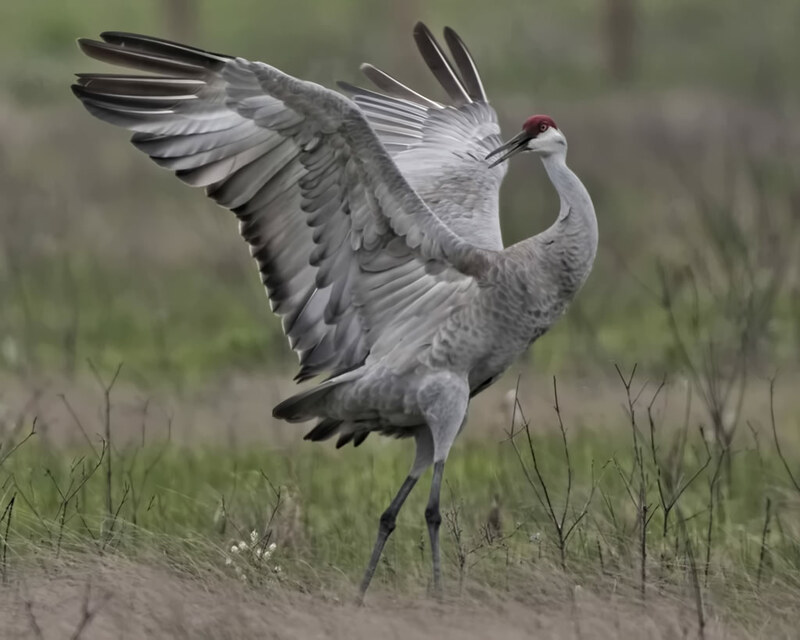 Although they don’t have a lifespan of a thousand years, as myth would have it, they do live an incredibly long time – the oldest Sandhill Crane on record lived for more than 36 years! 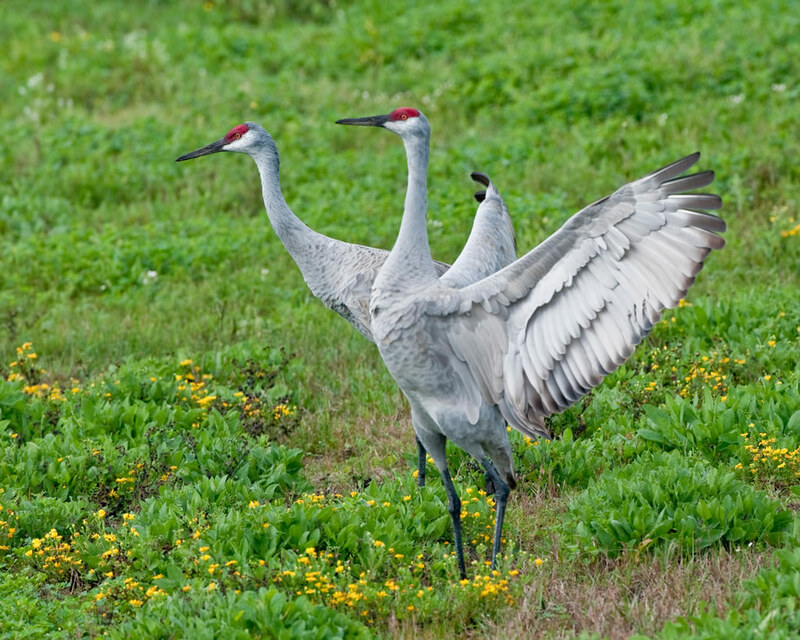 Like most cranes, Sandies are monogamous and mate for life, spending two decades or more together year-round. Males take finding a mate very seriously, attempting to impress nearby females by displaying to each other, dancing exuberantly with outstretched wings, and bowing and leaping. If this captures your imagination and you would like to learn more, please join me on December 8th at 8am in Galveston for Coffee & Cranes, where I will be giving a presentation titled, “Sandhill Cranes: Our Elegant Winter Guests.” After breakfast, we’ll go out in the field to see and photograph these amazing birds in person. This is just one of the events being offered at Holiday with the Cranes on December 8th and 9th in Galveston. Please visit Galveston Island Nature Tourism Council’s website for more information and to register.